"CLASS-ROOM" or a "HOME-SCHOOLING" setting. "EXPLORE, DISCOVER and DEVELOP" new concepts. games can be played at "VARIOUS LEVELS of CHALLENGE" so that feelings of "SUCCESS and ACHIEVEMENT" are maximized. 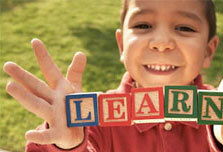 games create an atmosphere to help learn and develop "SOCIAL SKILLS" and "LIFE SKILLS".